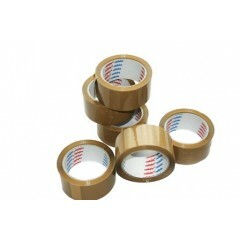 In this section you will find cellofix branded low noise tape - available in both clear and brown. This is by far our most popular selling tape to businesses, and is a premium quality tape with extra adhesion and strength. The low noise tapes we stock are cellofix branded and imported from Greece. These are industrial length 66 metre rolls, and industrial standard. Made from extra strength low noise glue, this is a superb tape and suitable for all dispatch facilities, manufacturers and businesses. A good strong polyprop low noise tape, and one we recommend for all business use.